Raising backyard chickens has grown in popularity over the past few years, but does this mean it's right for you? Chickens are very social creatures, so it's important to have at least two. They are relatively hardy and require minimal care and little living space. They are curious and just love to investigate what you're doing at any given moment. Bring something new into the coop and find out why the term "chicken" is used for someone afraid. The first step in considering chickens is to check with your local town/city regarding zoning. Many towns have their zoning ordinances online. Even if others in your town have a backyard flock, it would be beneficial to ensure you know the laws. This way, if you ever have an upset neighbor threaten to turn you in, you know whether or not there's a chance you could lose your birds. Although hens aren't nearly as loud as roosters, I will tell you that I have a few that love to squawk loudly when they want attention as well as when they are getting ready to lay an egg. It would be incredibly hard to hide the fact that I have chickens. Next, think of the needs of chickens. There's no need to have a rooster in order to get eggs. Hens lay them regardless. Roosters will warn the flock about predators, fertilize eggs for hatching, and are a handsome addition, however, they can be loud and possibly aggressive. Chickens need housing. 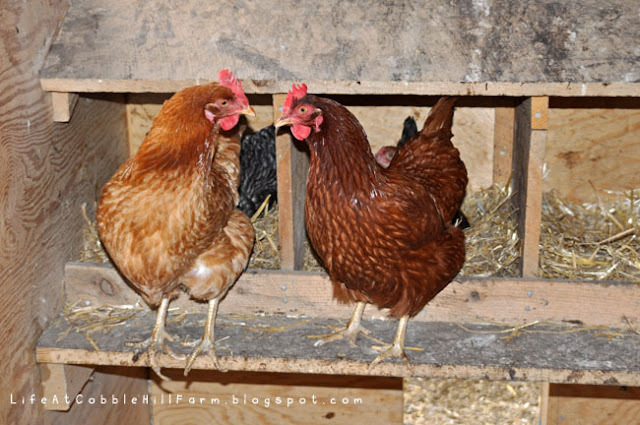 You can make poultry housing out of virtually anything, as long as you're able to provide nesting box(es), a roost and a dry, safe place from predators, your chickens will be satisfied. 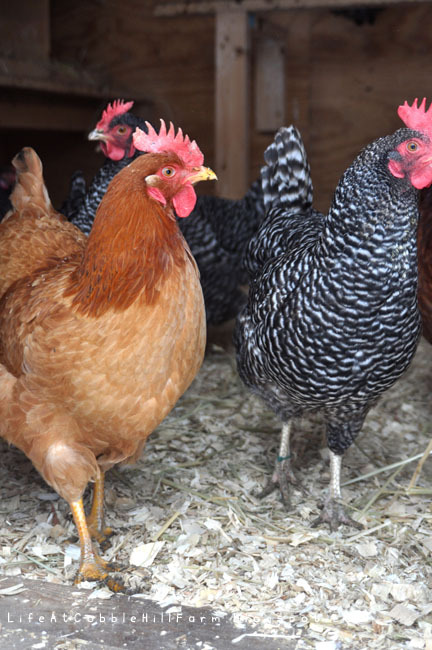 Chickens typically require 2 - 10 square feet of space per bird (depending on the size of the breed). During the day it's best to give the chickens access to an outdoor pen or allow them to free range. If you want to protect your girls from predators, it's best to fence in the outdoor pen, including covering it with either a roof or netting. If you choose to free range your girls, make sure anything you don't want them in (i.e. your garden) is well fenced off. Once they discover something they like, it's hard to keep them from it. Chickens need space. 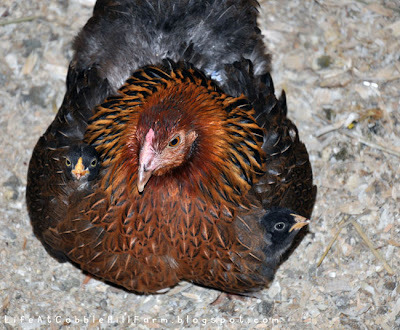 When chickens are crowded they become upset and can even peck each other to death. Chickens also need food, clean water and a little attention from their humans. Chickens produce waste. Some can certainly be used in your compost or gardening, but what will you do with the remainder? Another thing to remember is that with chickens comes dust. Any ground you give them will be quickly pecked, scratched, and dust bath holes dug. To hatch your own eggs you need an incubator. 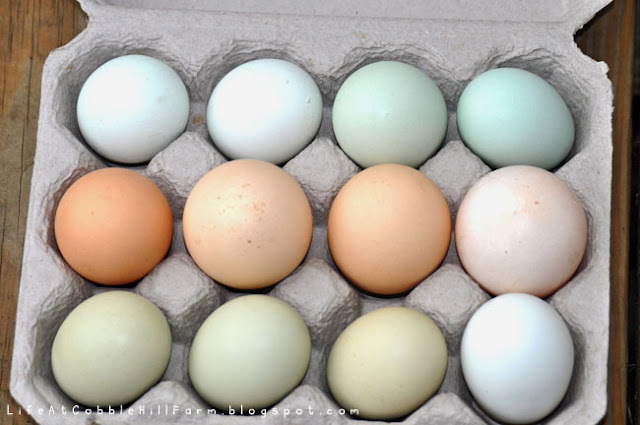 Fertile eggs can be purchased from many mail-order sources that sell day old chicks and pullets or, sometimes, a local feed store or farmer will have them for sale. It takes 19-21 days for an egg to hatch. You may get roosters or hens with this method. Buying day-old chicks is a very common way of starting a flock, and the chicks can be purchased from a local feed store, farmer, or mail order (they can live up to 48 hours when first hatched without food or water). They can be ordered as sexed or straight run (un-sexed and could be hens or roosters). Among the supplies you will need a box (tote, crate, etc. ), a heat lamp, a chick waterer, a chick feeder and litter for the base of the box. 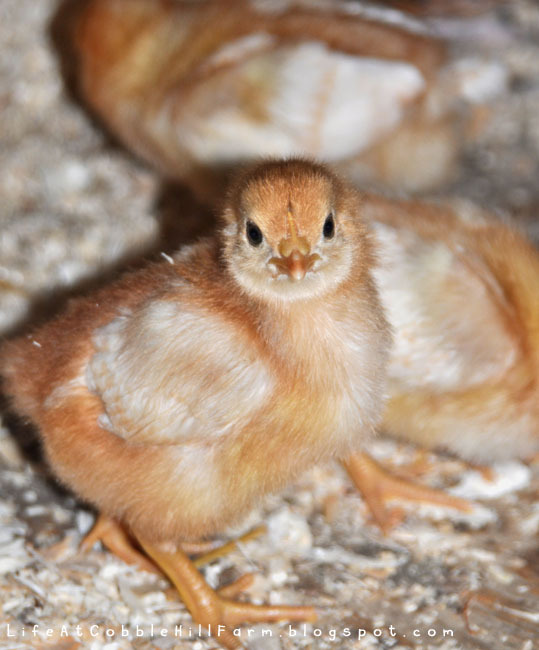 Buying started pullets, although more expensive per bird than the first two options, gets your egg supply off to a running start within a couple of months after purchase (chickens begin laying at 18-24 weeks of age). No starter supplies are needed as they are close to adult age when purchased. Pullets may not initially be as friendly as if you started with day-old chicks if they haven't been held when they were younger. Adult hens are typically more expensive per bird than the first 3 options, but will provide you with eggs immediately. A word of caution regarding adult hens. 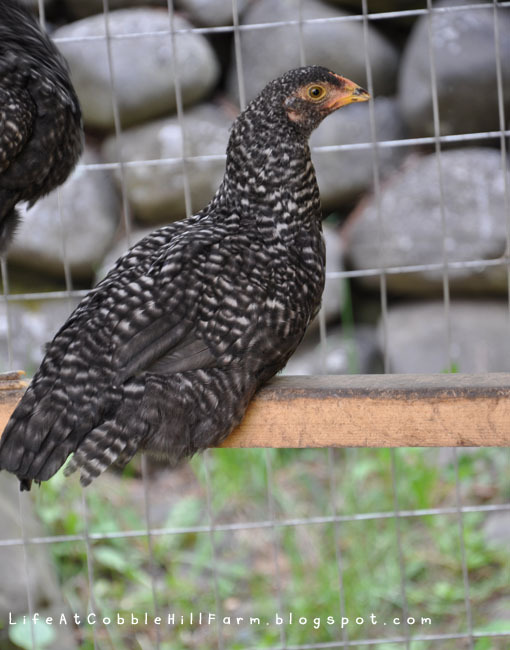 First, I wouldn't bring adult hens into an already started flock without first quarantining the new birds to watch for signs of illness or parasites. Second, because egg production decreases with age, if you don't know the true age of the birds you may not receive many, if any, eggs. As I stated at the beginning, chickens are social and will do better if you have at least 2 or 3 in the flock. If you are purchasing chickens for farm fresh eggs, each adult chicken will lay one egg per every 25 hours during the peak summer season. As the chicken ages, production slowly decreases. Eggs can be stored in the refrigerator for up to 4 months (depending on temperature and humidity), and extras in the freezer (cracked), sold to neighbors/friends/family, or given away. You will be amazed at how quickly you get a list of others who would love to buy those wonderfully fresh eggs with the bright yellow yolk. What Types of Chickens Should I Buy? There's plenty of resources online and in print that will break down the best breeds for your climate, as well as for egg production versus meat production. Also, if you would like to eventually hatch your own chicks, you may want to look at heritage breeds that are known for being broody. As an example, our Barred Plymouth Rock chickens have never gone broody and, therefore, would never be able to hatch eggs. On the other hand, two of our four Araucana chickens are broody every couple of months. One has successfully hatched eggs (she sat on one and we added another underneath her) as well as adopted the day-old chicks we purchased from a local hatchery. 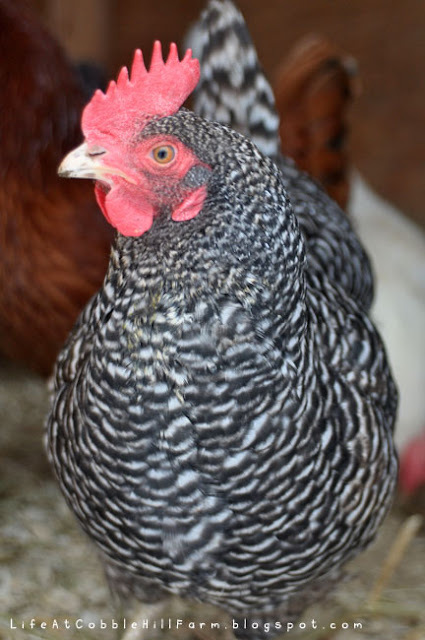 Because chickens tolerate cold temperatures better than hot, if you live in a hot and/or humid area, you may want to make sure the breed(s) you choose adapt well to a hot climate. 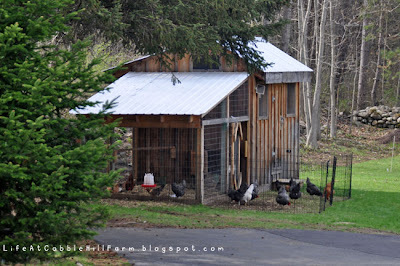 Some of the not-so-fun things to think about are, if my chickens get sick what will I do? It's not like you can call up your local Veterinarian to treat a chicken. It's actually difficult to find someone to treat birds. Additionally, it's expensive. I wish I had thought about this prior rather than once I had 4 wheezing/sneezing chickens. It pays to read about common illnesses and what others have tried that works. You may want to have a few remedy's on hand in hopes of never using them, but available in the event you need them. We have enjoyed our chickens immensely and I can't imagine not having them. 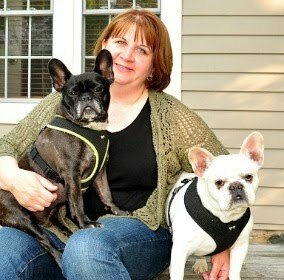 I enjoy watching their crazy antics, getting to know their personalities as well as their different tones and shrills. I hope this was useful to those of you considering purchasing chickens. I am by no means an expert - I'm always learning, but wanted to share some of the things I've learned. Next month will be "Raising Chicks" with "Chicken Health", and "Caring for Your Chickens" in coming months. Great post! I enjoyed reading about your experiences. It's nice to be able to see another persons experiences and compare them with your own. Looking forward to the other chicken posts. What a great post. Lots of good info. Unfortunately, our gated community wouldn't allow for roaming girls in the yard, but we're workin' on moving to our homestead to do just that! I was surprised when my sister told me she had neighbors across the cul de sac with hens in their backyard. I love watching chickens and enjoy hearing about yours. Nothing beats raising baby chicks. This is our third time around with hatching eggs. Such a fascinating process and so cute as day old chicks. Awesome and informative blog! Thanks for your very nice articles. I like this very much and look forward to visiting your blog in the future. A good poultry housing keeps the bird safe and disease free.